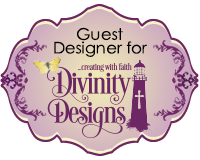 It’s challenge time with the “Crazies” over on the Crazy 4 Challenges blog. 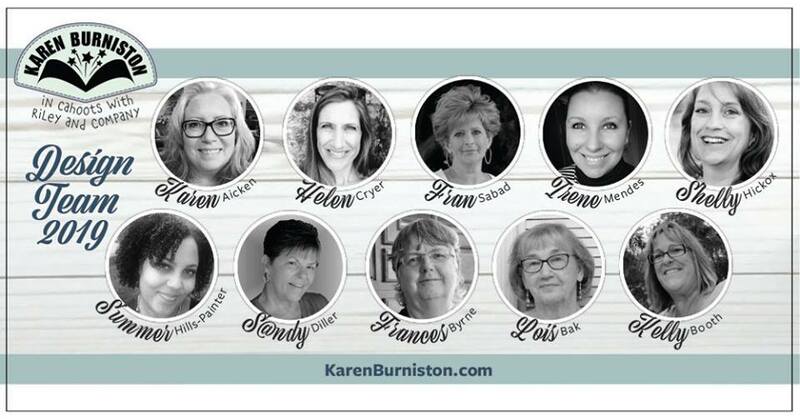 Being a brand new month it is time to introduce our new challenge hostess which is Kathleen Adams. Apparently today is Ground Hog Day! If you don’t have an image of a ground hog then put any other ground critter on your card this week! Apparently today is also Hedgehog Day, so for my card today I decided to go with a different type of 'hog' ..... a hedgehog. Last year Kathleen Adams created a card for a challenge using this super cute hedgehog & cacti ... it is a digital stamp from The Paper Shelter. I loved it so much that I had to purchase the image, I printed it out and that is about as far as I went. It has been sitting in my 'to do' pile for a long time, so when I was thinking what ground animal I could use for this challenge .. and discovered it was also Hedgehog Day, of course I had to grab the images I had already printed. I had planned on making this card but then a friend paid an unexpected visit, so we went to a local scrapbook store, while I was looking at the papers I spied this fun cacti paper which I thought would be perfect to use with this image. 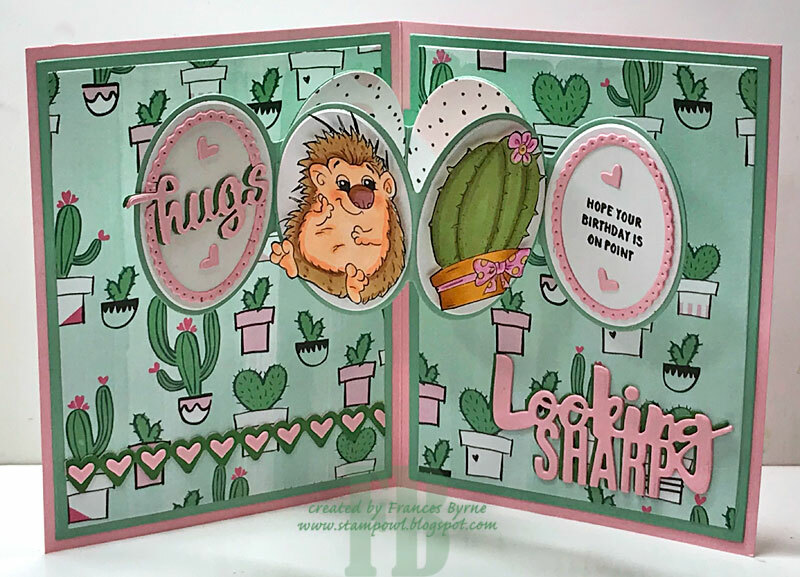 To create my card I used Karen Burniston's Oval Frames Pop-up die set, which is one of the new die sets which has just being released. The centre ovals of this card are normally a frame which peek through to the two centre ovals at the back .... 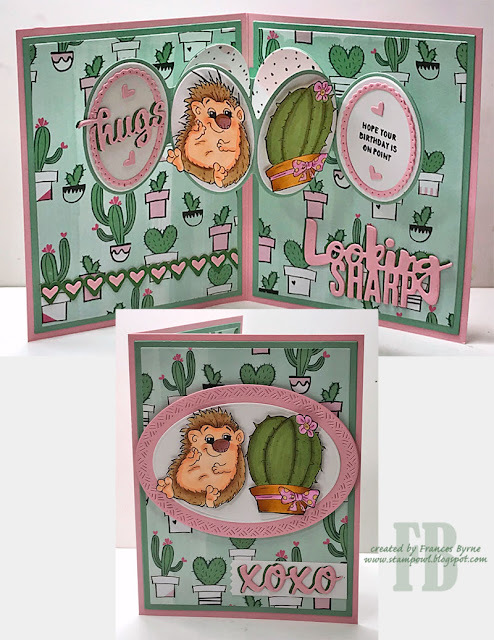 I didn't think that looked as good for these particular images so I added the white ovals to the front of the centre ovals and added the hedgehog and cacti to these. 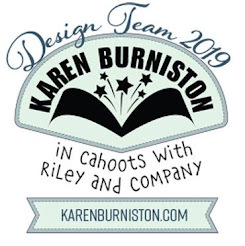 For the far left oval, I added the hugs sentiment from Karen Burniston's Word Set 9 - Love die set. The far right oval has a birthday sentiment from a Concord & 9th stamp set. Along the lower edge on the left hand side I used the heart border from Karen Burniston's Border Blends - Argyle die set.. this die set is clever that you have options to make a variety of different borders other than the 3 obvious ones in the set. The small pink hearts are from the top of the stirrer from the Coffee Cup Pop-up die set. 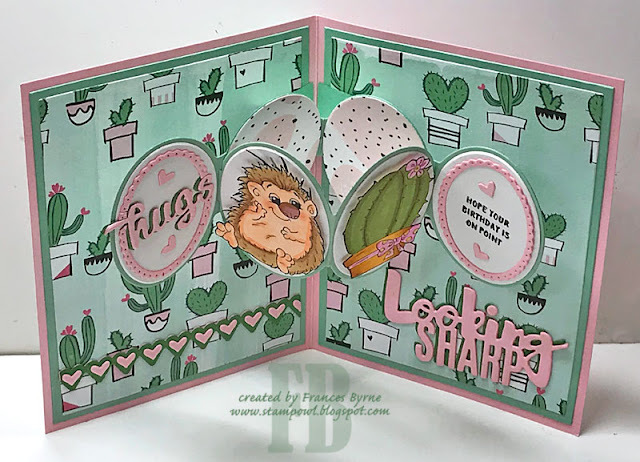 The "Looking Sharp" sentiment is from the Sizzix Cacti Fold-a-long die set. 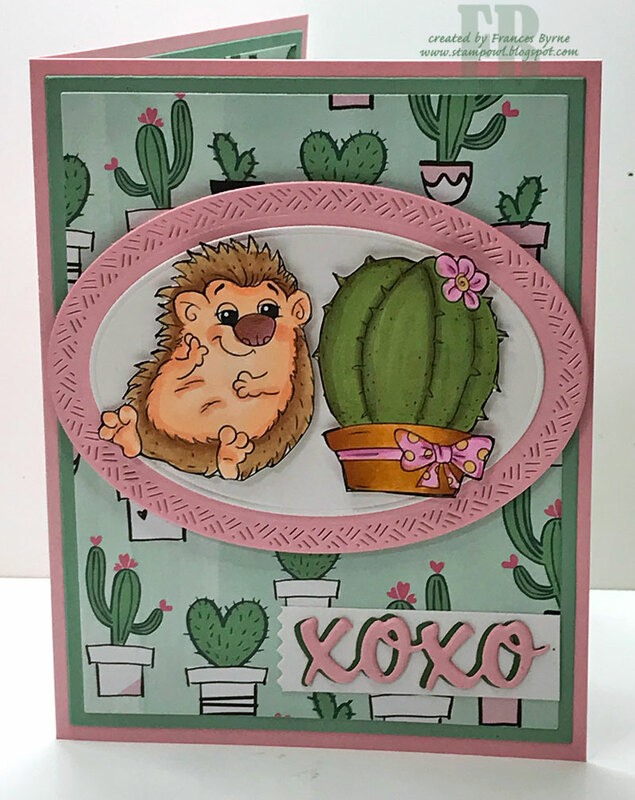 For the front of the card I used the ovals from the Crosshatch Ovals die set, to layer another hedgehog and cacti image. I also added the XOXO sentiment from the Word Set 9 - Love die set which is layered using the Honey Bee Stamps Banner Builders die set. OMGosh, this is SUPER CUTE.